Industry today relies on ever more advanced technology to perform tasks more quickly and effectively. For this reason, it often becomes necessary that manufacturing facilities upgrade or retrofit existing production systems to keep up with the times. As one might expect from an industry leading manufacturing solution provider, ALLtra Corporation offers many options when it comes to updating equipment for superior performance. One of the most commonly required upgrades is that of cutting systems. 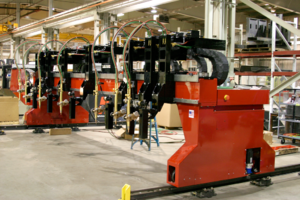 Plasma cutting technology has advanced so far in recent years that upgrades have become almost required to keep pace with the competition. Of course, while simply replacing existing systems is always an option, manufacturers often find that retrofitting or re-manufacturing those systems to be a more economical solution. Retrofitting solutions involve replacing older machine parts with newer, usually upgraded parts. 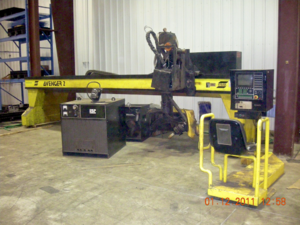 In a complete re-manufacture, the machine is almost entirely rebuilt, usually with enhanced and upgraded parts. Plasma systems can be significantly improved by these upgrades, which in turn enhances their productivity in the manufacturing facility. Machine upgrades are not the only way to improve efficiency. Introducing upgraded control systems to a manufacturing process can also allow for greater productivity and less waste. Control systems are the brain of an industrial facility, and improving them can greatly improve the facility. Upgraded or retrofitted controls can make automation more intuitive, and more modern softwares can also increase the precision of the process. ALLtra Corporation offers retrofitting and re-manufacturing solutions for existing systems that are no longer on the cutting edge of manufacturing technology. Taking advantage of these services can greatly increase the productivity of a manufacturing operation. ALLtra provides complete retrofit or remanufacture service for nearly all cutting machine types. ALLtra believes retrofits are a necessary occurrence in the life of a gantry, so our trained staff makes them easier to configure and to install. If you are interested in discussing your existing cutting/marking systems and the improvements upgrades, retrofits and remanufacturing from ALLtra Corporation can make to them, please contact us to set an appointment with a trained member of the sales team or call 918-534-5100 with any questions.